PSA International Ptd Ltd (PSA), the Polish Development Fund (PFR) and the IFM Global Infrastructure Fund (IFM) have signed an Agreement, subject to formal approval by the relevant competition authorities, to jointly acquire 100% of the shares of DCT Gdańsk, the largest container terminal in Poland, from Macquarie Infrastructure and Real Assets (MIRA) managed fund Global Infrastructure Fund II, MTAA Super, AustralianSuper and Statewide Super. 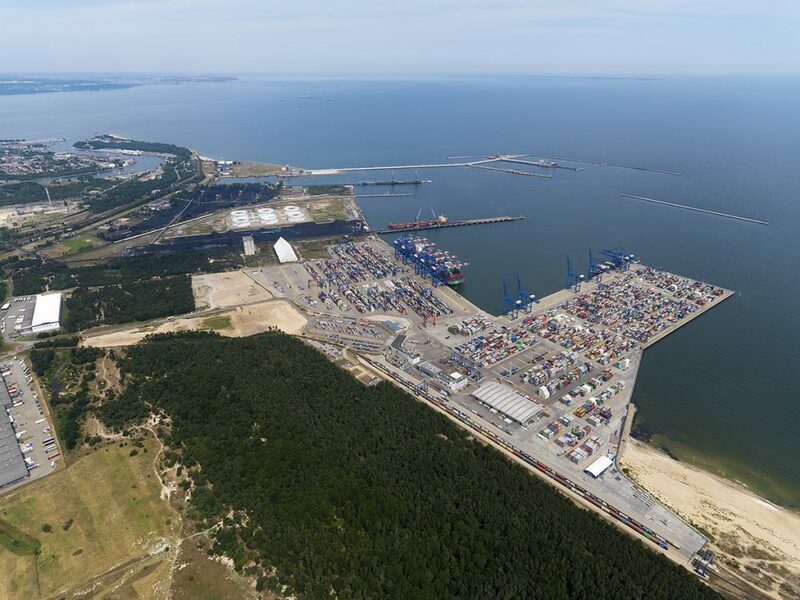 DCT Gdańsk is the only terminal in the Baltic that can serve ULCV’s (Ultra Large Container Vessels), the world’s largest container ships with a capacity of up to 23,000 TEUs. It provides shipping lines and end-customers with a reliable and cost-effective alternative to the ports of Northern Europe, servicing direct connections with Asia all year round. Given the constant growth and development of the business, the terminal is expected to reach full capacity utilisation in the upcoming years. To allow for further development of DCT Gdańsk, PSA, PFR and IFM will explore the construction of a new expansion area and further increases in capacity. *Note to Editors: PSA dropped the name of “Port of Singapore Authority” in 1997 when it became a corporatised entity. The company should be referred to as “PSA International Pte Ltd” or simply “PSA”. The Polish Development Fund (PFR) is a financial group which offers instruments supporting the development of companies, local governments and individuals, and invests in sustainable social development and national economic growth. The mission of PFR as a Polish promotional financial institution is to implement programs enhancing the long-term investment and economic potential and supporting equal opportunities and environmental protection. IFM Investors is a global institutional funds manager with US$82 billion under its management as of 31 December 2018. Established more than 20 years ago and owned by 27 Australian pension funds, IFM Investors’ interests are deeply aligned with those of its investors. Investment teams in Australia, Europe, North America and Asia manage institutional strategies across debt investments, infrastructure, listed equities and private equity. IFM Investors has offices in nine cities: Melbourne, Sydney, London, New York, Berlin, Tokyo, Hong Kong, Seoul and Zurich. For more information visit: www.ifminvestors.com. Macquarie Infrastructure and Real Assets (MIRA) is one of the world’s leading alternative asset managers. For more than two decades, MIRA has partnered with investors, governments and communities to manage, develop and enhance assets relied on by more than 100 million people each day. As at 30 September 2018, MIRA managed €111.4 billion in assets that are essential to the sustainable development of economies and communities, including; 148 portfolio businesses, ~400 properties and 4.5 million hectares of farmland. MTAA Super is the national super fund for the Australian automotive industry. Since 1989 MTAA Super has grown to be one of Australia’s largest super funds, with over 230,000 members and $A11.8 billion in funds under management. MTAA Super places its members at the center of everything it does, and for 30 years it has helped its members secure their financial future. AustralianSuper manages more than $A140 billions of members’ retirement savings on behalf of more than 2.2 million members from around 280,000 businesses. One in 10 working Australians is a member of AustralianSuper, the nation’s largest superannuation fund. Statewide Super is a proud South Australian based industry super fund servicing over 145,000 members, 22,000 employers and has approximately $A9 billion in funds under management. We have been managing our members’ retirement savings for over 30 years and our investment returns are amongst the top performing funds in Australia.